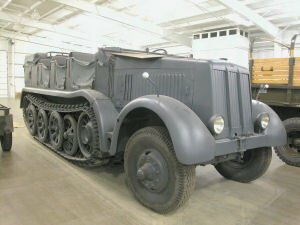 IMCDb.org: 1939 Daimler-Benz DB 10 Sd.Kfz.8 s. Zgkw. 12t in "Osvobozhdenie, 1969-1972"
Sorry, chaps, the 18 ton is bigger than these vehicles. The main and first small picture shows a Daimler-Benz DB 10, s.Zgkw. 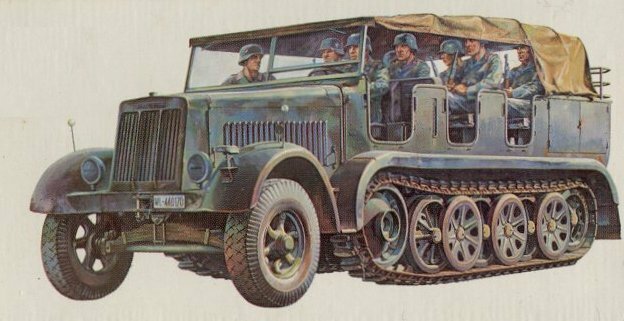 12t, Sd.Kfz.8 (1939-44). The second small picture show the Krauss-Maffei KM m 11, m.Zgkw. 8t, Sd.Kfz.7 (1937-44). I'd love to see another one of these in a film ... so, please, keep your eyes open for me! 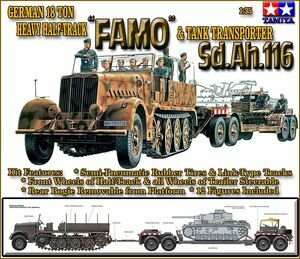 "Sd.Kfz.8" should be put as extra info, as it's the internal army designation.